A plane crash in Palo Alto, California claimed the life of a pilot but miraculously his two passengers were spared. 66-year-old W. John Spencer was a volunteer pilot with Angel Flight West, an organization that gives free flights for children and adults with severe medical conditions. Spencer was flying with two passengers, a 16-year-old patient named Chloe King and her 49-year-old mother Nancy Dellamaria. Both passengers survived the crash and were taken to Stanford Trauma Center. Angel Flight West's executive director Josh Olson confirmed Spencer was the Angel pilot who died in the crash Tuesday. Olson said in a statement, "Angel Flight West is devastated and deeply saddened to share that we lost one of our volunteer pilot Angels yesterday, W. John Spencer." He added that Spencer "will be greatly missed by the staff at Angel Flight West and his fellow volunteers." Spencer had flown over 75 families on 125 flights during his career with Angel Flights West which began in 2014. He joined the organization as a volunteer pilot, according to the non-profit. Investigators from the Federal Aviation Administration and the National Transportation Safety Board are investigating the crash. Both agencies confirmed Spencer's plane crashed around 11:10 a.m. adding that Spencer initiated a maneuver called a "go-around". He was preparing to land on the Palo Alto Airport runway but pulled out to go around and try a second time, according to officials. 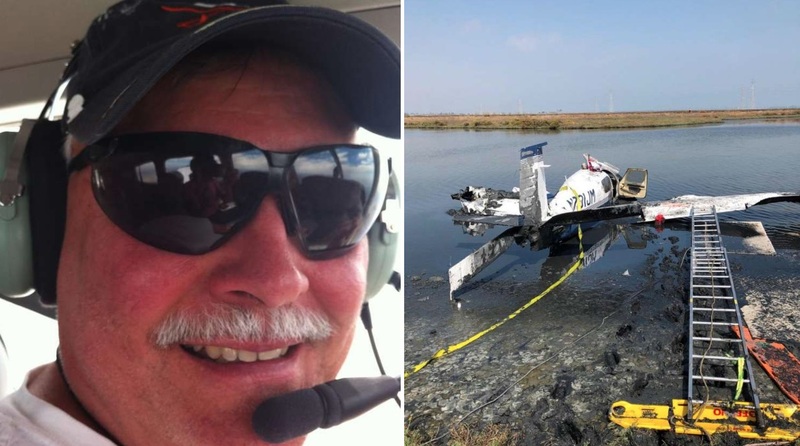 Spencer crash-landed the plane and it came to a stop in a duck pond about a quarter-mile from the end of Runway 13. The non-profit organization has over 3,000 volunteer pilots and drivers spanning 13 states. Officials from Angel Flight West said the crash Tuesday was the first in its 35-year career of ferrying patients on over 75,000 flights.